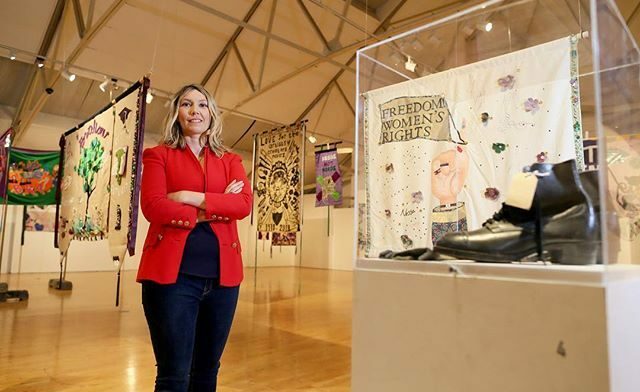 Millennium Court Arts Centre in Portadown is exhibiting a selection of banners created especially for the Belfast PROCESSIONS event alongside suffragette items from the museum services. The exhibition is now open and will continue until 25 July. @lancetabraham here, moving on to another project for my #mafashionphotography #igtakeover. PROCESSIONS was a mass participation artwork produced by @artichoketrust and commissioned by @1418now. 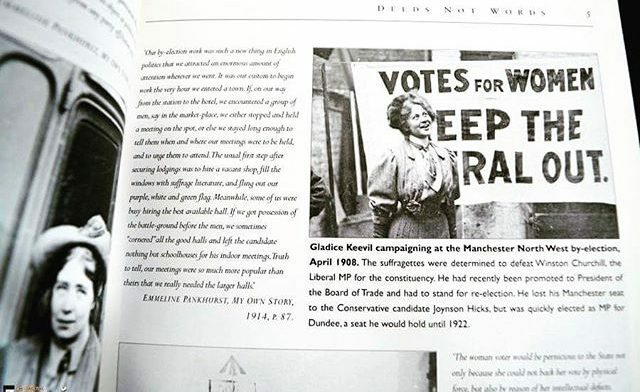 It celebrated the centenary of the first women to vote in the UK. 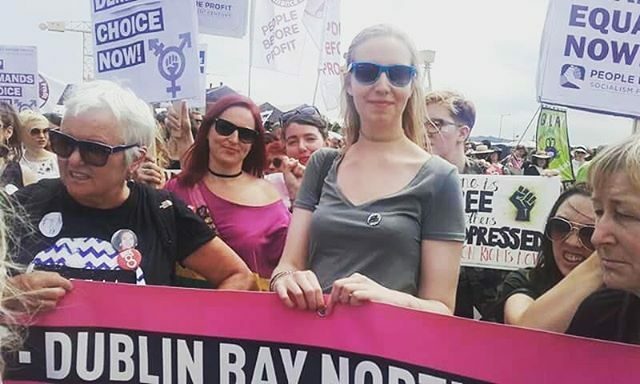 Around 10,000 women marched with banners in London, Edinburgh, Belfast and Cardiff on 10 June 2018. 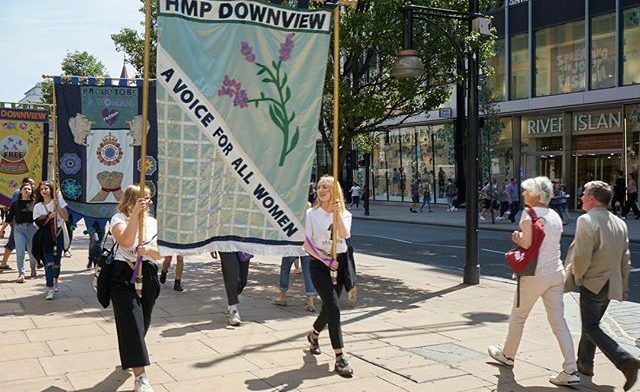 @historicengland commissioned LCF’s Prof Lucy Orta to lead banner-making sessions in LCF’s #makingforchange workshop at Downview women’s prison. 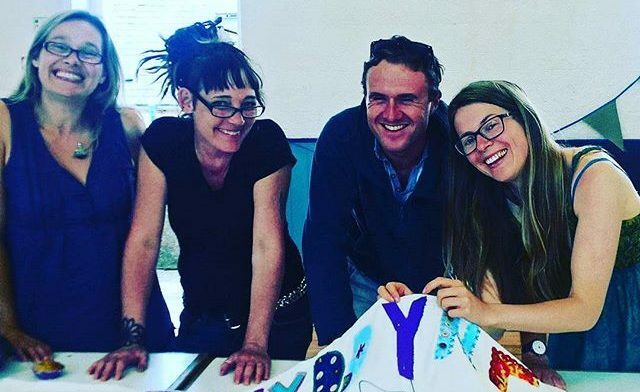 For my ‘Everyday and the Epic’ project, I visited the prison to document the banner-making sessions (the everyday), and the London procession (the epic). 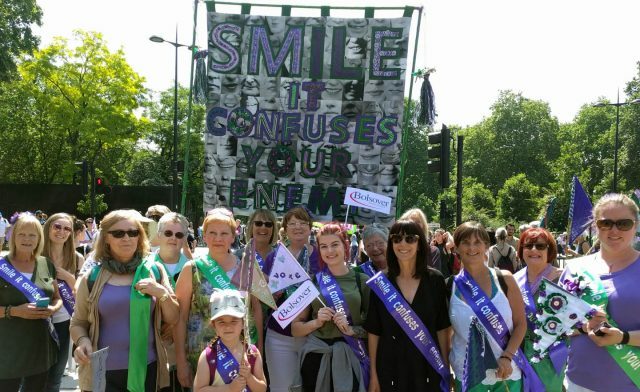 Here are the finished prisoners’ banners on their way to the start of the #london procession. 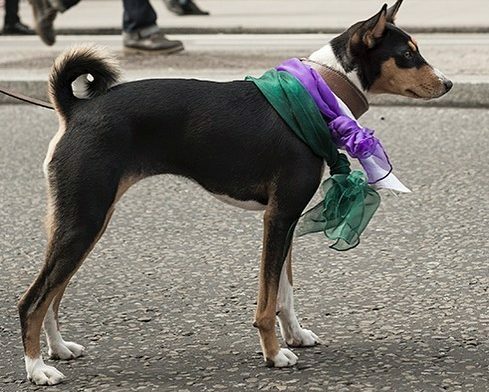 Durante los meses de julio y agosto Herstóricas realizará algunos paseos guiados en español en busca de las suffragetes en #Londres. Su proyecto de carácter cultural y educativo visibiliza y valora la aportación histórica de las mujeres en la sociedad reflexionando sobre la “ausencia” de éstas desde una perspectiva feminista. .
A close up of the ‘Make More Noise’ banner created by students from @strodecollege and artist @dorcascasey. 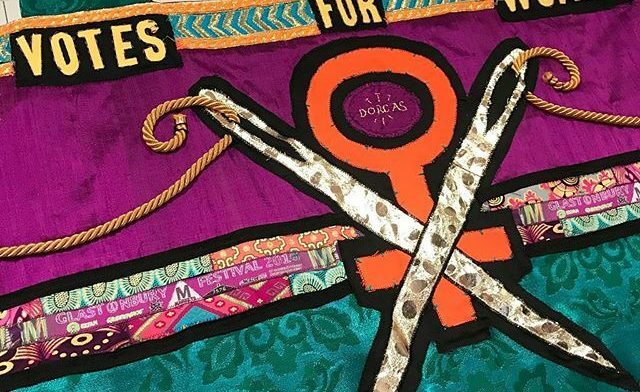 The colours are so vibrant and we love that there are Glastonbury Festival wristbands woven into the design along with the names of everyone who helped make the banner.